It’s been four months since I started blogging. I’m a doctor by profession and even though it’s been a while, I still haven’t found the courage to tell anyone (apart from a handful of people) that I’ve taken up full-time blogging in another profession. It’s because I know what they all will say. I spend hours writing, editing, and finalising my blogs, yet somehow no one actually takes what I do seriously. I literally put my heart and soul into every post I put up. I earn nothing; I can’t because I’m a blogger based in Pakistan. People in Pakistan only see blogging as a hobby; a very public-personal diary of sorts. I have friends who live abroad. They work from home, and they’re earning good money; maybe because in their country people actually appreciate and want to read what they have to say. They have thousands of followers on their blogs. They get invited to seminars and conventions, urging them to share their experiences and what they have achieved ever since they took up blogging as a full-time career. And in that moment you realise that you’re the laughing stock of your family. Mostly when people review products, they’re being sponsored by the companies that made these products. In the United States, there are subscription services free of charge and websites like Influenster and PinchMe are specifically designed for bloggers. They send out items and ask bloggers to review the products, allowing bloggers to avail everything that’s new without having to spend their own money on it. Sadly, in Pakistan, the common man’s opinion holds no importance. So instead of sending products and samples to bloggers, companies prefer sending them to celebrities who show their appreciation by posting a picture on Instagram. 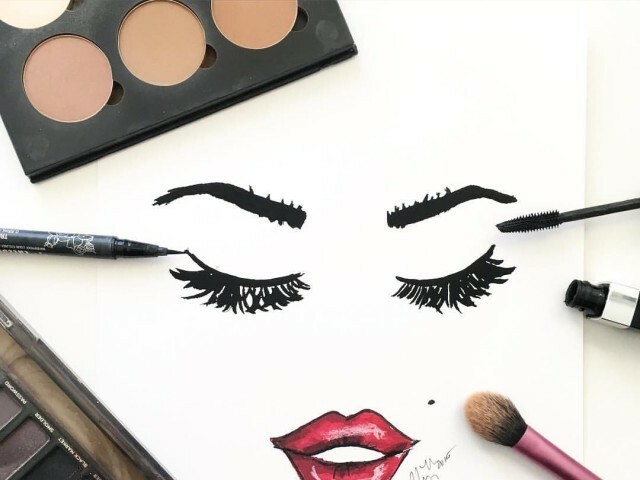 How can you succeed as a beauty blogger if no one is willing to sponsor you? Even if you’re not making much money out of blogging, you wouldn’t allow yourself to feel disheartened knowing that people will encourage you to keep on going by acknowledging and appreciating the effort you put into your posts. The job description of a beauty blogger is more than just reviewing products. We stay up-to-date with the latest trends, we research and find out what kind of products/items are suitable for various skin types, eye shapes, body types etc. We experiment and come up with ways for you to make the most of the products/items you already own. We feed off the responses we get on our blogs and answer any queries presented our way to provide our readers with content they’re looking for. These are just a few of the things we take under our belt. And it’s not easy. It takes guts, dedication and commitment to maintain a blog, especially in Pakistan. And despite trying to come up with the best content possible, people only offer their appreciation by pressing the ‘like’ button on social media. They don’t even bother reading the post! Yes, thank you for gracing me with a ‘like’ while scrolling down on Facebook. It didn’t really do much for me. The whole purpose of a blog is for people to read it. The views and visitors on a website really matter. For someone who spends so much time writing and finalising content, is it wrong for me to expect people to maybe skim through it? Apparently so. People here think the only purpose for social media in Pakistan is to scroll through Facebook for hours, seeing who got married to whom, who danced at what mehndi etc. I’ve come to realise that being a blogger, for anything, is not seen or accepted as an actual full-time job in Pakistan. Next time you see a blog post, help them out by just reading what they have to say. Even we’re trying to earn a living here by doing what we’re passionate about.